Made of rare gaboon wood and engraved glass. Size, mm: 175-190 (height) х 70 (diameter). 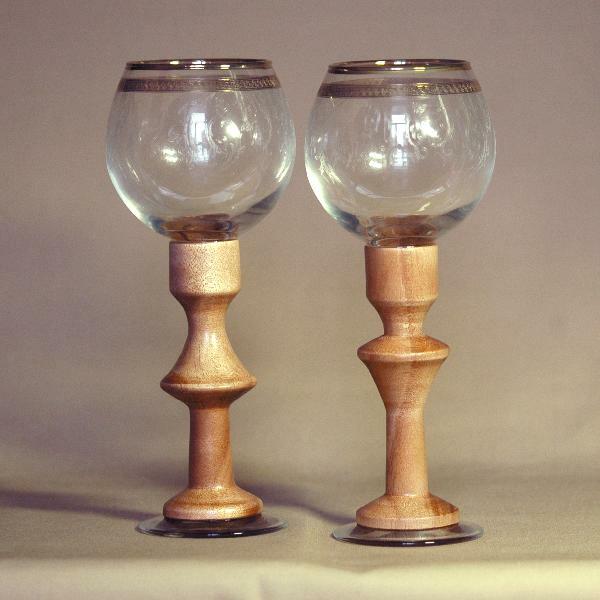 Original handmade wineglasses. The gaboon bases are designed to be mirror images of each other. The 210 ml glass is beautifully decorated with ornate engravings and a golden rim. A great decoration for a festive table and a wonderful anniversary gift.